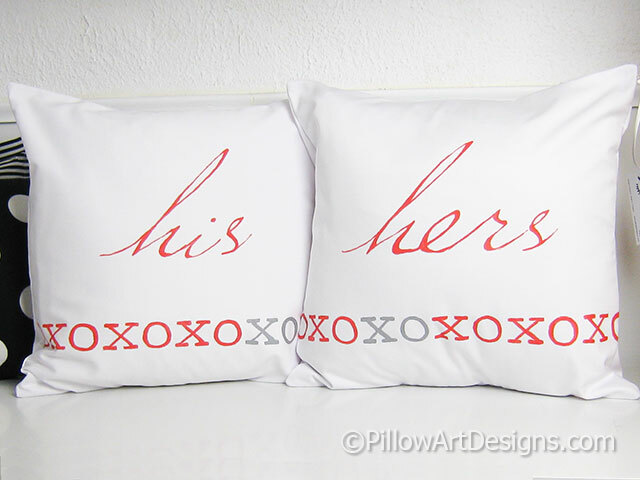 His and Hers pillow covers with unique XO design across the front. The words His and Hers is hand painted in lady bug red script. 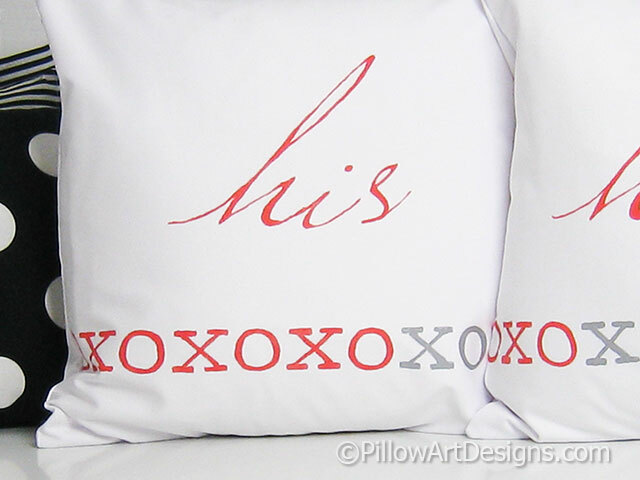 The XO design is painted in red with one set in silver. Made to fit 16 inch X 16 inch pillow inserts (not included). 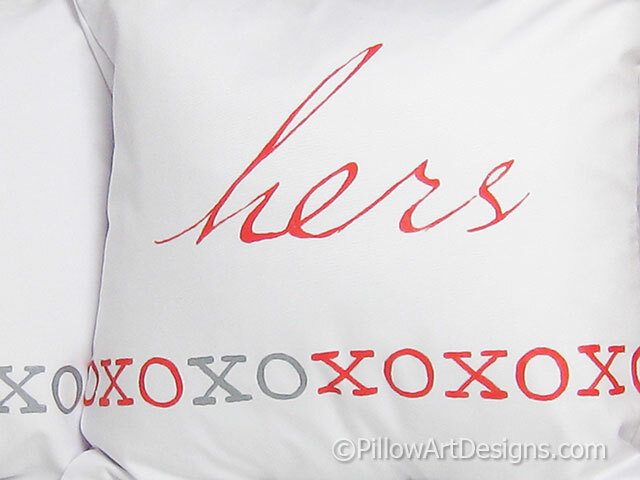 Outer fabric is white cotton twill, pillow covers are fully lined with 100% cotton. Painted with quality non toxic fabric paint, will not wash off, flake or rub off. For best results and longest life, hand wash in cold water, lay flat to dry. Handmade in Canada, by me. Ready to ship. Note: other paint colours available, contact me here, I can make a set just for you!